I refer to to Visakha Kawasaki's letter on "metta action" entitled "Let’s not disparage either metta or intentions. "The Good Intention called The Good Intention is not The Good Intention". Visakha Kawasaki presents realistic points: for humans there is a difference between good and bad intentions. And humans - like all sentient beings, cannot avoid actions. In Buddhism, there is the undisputed commitment to recognize suffering, and in taking the vow to save all sentient beings. The intention to save sentient beings is “good” or useful intention. However, are we committed to that vow or passing the time more easily, announcing our past and future good intentions? If I kept moving worms in the same old way or drowning Mississippi River turtles into New York’s East River, saying, “I have good intentions” then I am really saying, “my way is the way” (prideful) or “I am unable to incorporate these new perspectives” (overwhelmed or lazy). We do not have any useful reason or dharma to remain prideful and lazy. When we see our actions caused harm by accident, we can practice humility and also improve our ability to learn.We do have reason to be overwhelmed. Truly freeing suffering animals in the United States might come from Buddhists eliminating the need to kill 10,000 abandoned pets in shelters per day. (http://www.oxfordpets.com/FYIView.asp?ID=52). Buddhists can also commit tenaciously to eliminating the 857 million animals killed in U.S. factory farms each year and their tortuous piece-by-piece deaths (see here - 2001 USDA statistics); Buddhists could aid the low-wage, often illegal employees who witness and contribute to tortured slaughterhouse deaths by skin-stripping and gutting machines hour after hour. Too much to bear? There is the sangha to lean on. We extend our refuge to all sentient beings. The sangha helps us bear up the great sadness and magnitude of horrendous institutions with long-established originations. 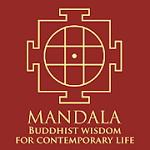 The sangha welcomes many minds to understand problems and develop strategy for enacting good intentions. 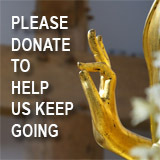 The nurtured sangha can pursue these sufferings long past our own life spans. The saying goes, “You aren’t responsible for carrying the whole load, but you can’t put down your share.” All Buddhists and sanghas who turn a blind eye to the actual suffering in their land are putting down their share, maybe having never picked it up, while dwelling on their past and future good intentions.